This is really something! Very nice! Thank you so much for sharing with us at Stampotique. What a sweet friend you are (sounds like she's a keeper too!). ;) Thank you for joining us at the Stampotique Designers Challenge blog for the 'Anything Goes' challenge. Wow. Lovely and practical gift for your friend. Thanks, Gay! I look forward to future challenges at the Stampotique Designers Challenge. Thanks, Jools! 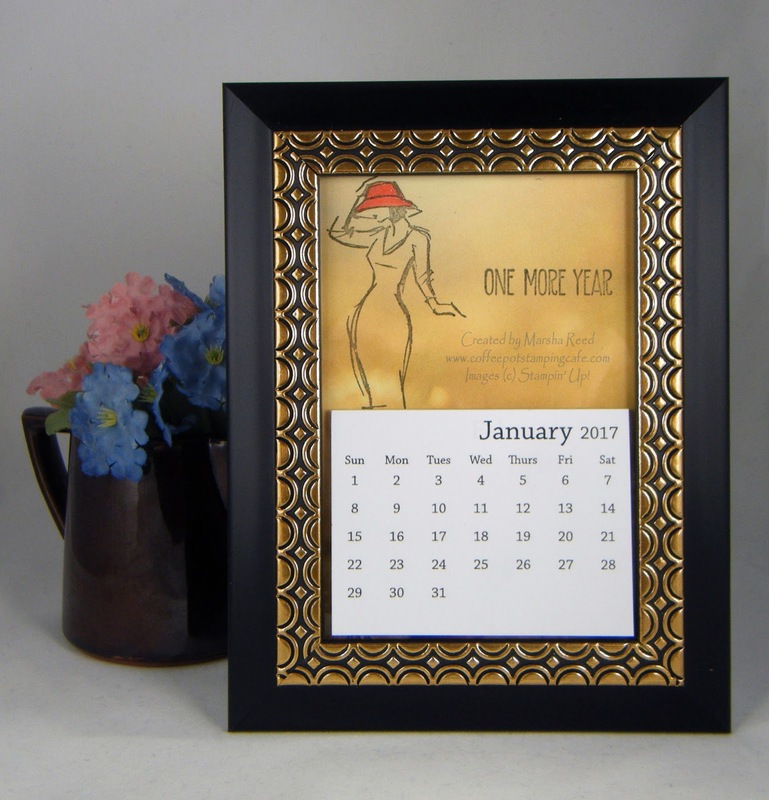 I love making these calendars for gifts, especially at Christmas. Don't you just love wink of stella? I'm addicted to mine! Nice calendar! Thank you for joining us in the Stampotique Designers Challenge!! Thanks, Tera! Yes, I do love Wink of Stella and have it in several colors. It just adds something to the design, doesn't it?